​SI.com’s Wrestling Week in Review is published every Wednesday and provides beneath the surface coverage of the business of pro wrestling. 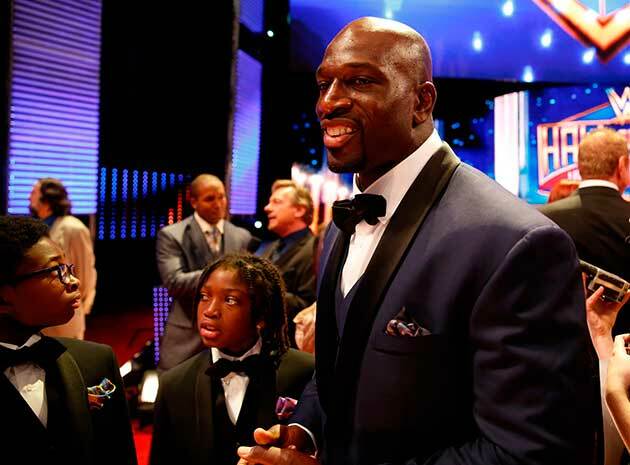 Titus O’Neil is finished with the WWE. While O’Neil’s moratorium for unprofessional conduct is only 60 days, the more concerning piece of his suspension is the aftermath. The WWE, specifically Vince McMahon, has a long memory and an appetite for retribution. O’Neil’s charity work is well-documented, but many of his charitable endeavors are through his own doing. The WWE prefers to control that aspect of the company, and the powers-that-be are extremely frustrated when a talent uses his own resources to get himself over without approval (for a recent example, look at the use of the talented Zack Ryder after he generated legitimate interest—on his own—for his character). O’Neil’s actions did not call for anything more than an internal fine, but O’Neil is a mid-carder who doesn’t draw and is subject to the irrational decisions that McMahon’s temper causes. It will be very interesting to see the manner in which O’Neil is booked—and the explanation for his absence—once he returns. Also, how is it possible that Brock Lesnar was not booked on the go-home Raw before Sunday’s pay per view? Since the moment the Royal Rumble ended, it has been painfully obvious—especially with every Triple H and Stephanie McMahon promo reinforcing the notion—that Roman Reigns is going over this Sunday. Here’s hoping for a swerve, or at least a tainted finish that sets up a four-way match at WrestleMania. • Kenny Omega is the new IWGP Intercontinental champion. Omega received help from his Bullet Club brothers in the Young Bucks, and Hiroshi Tanahashi worked through a dislocated shoulder to do the honors in the 29-minute affair. Omega will be bringing the belt to the United States in a couple of weeks for the Ring of Honor 14th Anniversary pay-per-view on Friday, Feb. 26, as he will team with the Young Bucks in six-man tag action against Kushida, ACH and Matt Sydal. • Injuries are just as devastating in wrestling as in any other sport, but the only silver lining to the recent Achilles injury to the Wolves’ Davey Richards is that it should force TNA to use Eddie Edwards as a singles competitor. Edwards is extremely talented, and should be put together in feuds with EC3, Matt Hardy and Eric Young. • Chris Jericho’s current run has been extremely underrated. His recent work—dating to his match with Neville on last year’s Fourth of July special all the way to this year’s Royal Rumble—has been solid, and he is currently using his talent and star power to put over AJ Styles. Jericho also interviewed Styles on his “Talk is Jericho” podcast, and Styles revealed that his injured back has significantly improved thanks to DDP Yoga. • The New Day and the Wyatt Family would make for a fantastic match at WrestleMania 32. The Dudleys and Usos could also be added into the mix, but the Wyatts are the rare team to outnumber the New Day—and, as previously mentioned, the contrast in interview styles would be very compelling. I do not want to see Wyatt fight Lesnar at WrestleMania, but this is a far better middle ground than pairing the Wyatt’s against Big Show, Kane and Ryback. Why won’t Renee Young give Kevin Owens the respect he deserves? WWE creative is not reading this column, but it is refreshing to know we both think Owens is the best fit as champ. The new Intercontinental champion adds instant meaning to the belt, and Owens did a solid job bragging about his accomplishment after the match, despite not pinning Dean Ambrose. He should defeat Dolph Ziggler this Sunday at Fast Lane. Ambrose has fully inserted himself into the world title picture. Will he turn on Reigns this Sunday? Or continue to build his story line with Lesnar? Styles speaks! Nice to know that his voice can be heard on more than just WWE’s secondary programs. Lesnar will appear this week on Smackdown, but his absence caused a void on Raw. Okada successfully defended his IWGP championship against Hirooki Goto on Feb. 11 in a 25-minute spectacle, and will work tag matches this weekend at “Honor Rising” against Ring of Honor’s stars. Okada will team with Yoshi-Hashi against Jay Lethal and Tetsuya Naito on Friday at Korakuen Hall, and then a six-man tag on Saturday. Ambrose should have hit “Dirty Deeds” on Reigns this Monday. Balor suffered an ankle injury during his match with Samoa Joe on Feb, 5 and was seen on crutches after the match, but the injury is not considered serious enough to sideline the NXT champion for long. Omega needs to be the top foreign heel for NJPW, and it will be very interesting to see how dominant he is booked by the company in the ensuing weeks. Lethal is expected to exit the 14th Anniversary PPV as champion, but his opponent—my fingers are crossed for a match with Okada—for the next night’s television taping in Vegas has not yet been announced. He fights Tomoaki Honma at New Japan “Honor Rising” this Saturday night in Tokyo. ZSJ is working a plethora of shows with Evolve throughout the year, including Evolve 58 & 59 in Dallas on WrestleMania weekend, and is in the process of acquiring a working visa to remain in the U.S. for the majority of 2016. 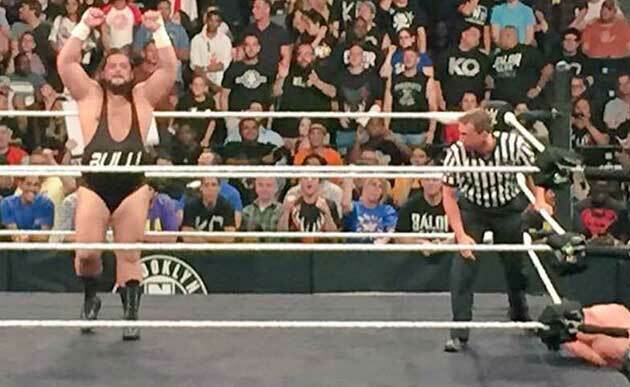 ​Bull Dempsey wrestled with NXT for two-and-a-half years until his release in January. Now known as Bull James, the 6-2, 300-pounder is only 28. He explained to Sports Illustrated that, thanks to his time with NXT, he is ready to make even more of a dent in the pro wrestling scene around the world. I.) SI.com: You were fortunate to work very closely with Dusty Rhodes before he passed away. How influential was Dusty to your career? Bull James: Dusty was very influential to me, pretty much from my start at NXT and the Performance Center. Dusty always told me that I reminded him of himself, which was the highest compliment I ever could have received from him. I would sit with Dusty at least once a week to pitch an idea, and within five minutes we’d be talking about Starrcade or he’d be telling me an old story from Japan, or he’d be teaching how to book. He was such an amazing person, and I am very privileged to have had the time I spent with him. If you spent time around him, you knew how truly special he was. There will never be another. It’s funny—there is the prototypical WWE star that everyone talks about, and if you were one of those, Dusty did his job and helped you. But if you were a little bit off the mold or a little bit of an odd ball—if you were a misfit toy, then you were what Dusty wanted to play with. II.) 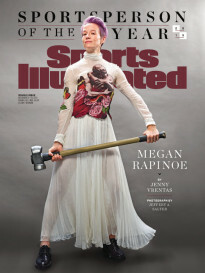 SI.com: What is the daily and weekly schedule when you are working for NXT and active at the Performance Center? Bull James: You live in Orlando and go to the Performance Center every day. You’re required to be there for your class every day, which is three hours, plus your hour-and-a-half lift, and everything is on you. There is always something to do in that building to make you better. If you’re really putting your full effort into the investment they’re making into you, then you are in there grinding it out, every day, for hours on end. You have so many intelligent, fascinating people there coaching you. When I first got there, it was Bill DeMott, Nick Dinsmore and Billy Gunn, guys who are no longer there, and they helped me tremendously. Then Matt Bloom came in, and he brings his style from Japan, and there is Robbie Brookside, who is probably one of the most underrated coaches you can find. There is also Norman Smiley, who is the greatest mind in wrestling. A lot of people are starting to realize that Norman is the man, and there is not one person he can’t make better. There is Sara Amato, who is the ‘Mother Teresa of Pro Wrestling,’ and Adam Pierce has been around for years, and Matt Wichlinski is the strength coach, and Ryan Katz is handling the creative side now that Dusty is gone. William Regal is there constantly there to help out, and Triple H is beyond accessible to any talent that needs a minute of his time. Scott Armstrong, Michael Hayes, Road Dogg, the list is endless. And Terry Taylor runs the finishing class. He ran every company in the wrestling industry at one point or another, whether in talent relations or a TV writer or working in the office. The finishing class is when they know you can work in the ring and they know you can talk. Either you’re on TV full-time or you’re about to be, and this is rounding out all the rough edges. The knowledge in that building will not be matched in one room anywhere in the world when it comes to this industry. III.) SI.com: Were you disappointed that NXT transitioned your character into more of a comedy act with “Bull Fit”? Bull James: I actually have a great appreciation for old school comedy, especially Jackie Gleason. Robbie Brookside and I used to find a corner before some of those NXT live events and watch Laurel and Hardy for a good half hour. Working with William Regal was some of my most memorable on TV. If there is something funny to be done, he is all about it. I actually think they didn’t even scratch the surface on what we could have done together, but we put on some funny skits together. I’ve had people tell me that I was never supposed to make it. I never fit the mold, and I wasn’t what they were looking for—but not only did I get signed, I survived two-and-a-half years. I got the greatest education in the wrestling business, basically like getting a scholarship to Harvard. IV.) 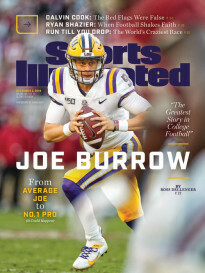 SI.com: How were you released? Bull James: They released me. I left on good terms; I have no ill will towards them. It’s very easy to be all shortsighted and say, ‘Screw them!’ but I can’t. They paid me and gave me a scholarship to the greatest building full of knowledge that I could have asked for. They took care of me. If it comes down to a budget thing and that’s the decision that is made, then it’s cool. I can look at myself in the mirror every day and know what I brought to the table as far as my work ethic, willingness to help the newer talent, and being an all-around professional. Now I bring that to the table for any company in the world. My intensity was unmatched with anyone that I was in a tryout with or on the independents with. I know my promo skills are strong, and I know I’m good at what I do. NXT is a chapter that’s closed, it’s in the rearview mirror, and it’s time to move forward. Now, with the tools they’ve armed me with, I can go toe-to-toe with anyone in this industry in the world. V.) SI.com: Are there any regrets from NXT? And what are your future plans? Bull James: Obviously I would have liked to wrestled Finn [Balor], Sami Zayn, or Apollo Crews, just to show different sides of what I can, and show that I can bring that big match atmosphere to somebody. But now, no matter where I go, I can wrestle anyone and I can wrestle any style. I’ve submerged myself in this industry since I first started at 17 years old, and I know that, wherever I go in the future, I will be an asset. If you’re good to the wrestling industry, it will be good to you. The wrestling industry has been very good to me since I started at 17, and I feel that it is an obligation to pass that knowledge along. We’re in a hot period in the wrestling industry, and it’s just getting started. Houses are up and everybody’s doing good business. I can tell by how crazy my phone has been ringing in the past week that it’s a great time to be a free agent in wrestling. I’ll be signing at the Big Event in Queens on March 5, and I will also be signing at Wrestle Pro in Rahway, New Jersey, that night. No matches announced just yet, but there will be. Anywhere this is a ring, I’ll wrestle. From now until WrestleMania 32, The Week in Wrestling will unveil a new track every week from Mega Ran’s new “Mat Mania” album. Mega Ran is Raheem Jarbo, a 38-year-old musician trailblazing a new track in rap by combining nerdcore and chiptunes into “chip-hop.” The motivation for his “Mat Mania” album was sparked by the likes of Kanye West, Richie Branson and Xavier Woods. “There will be seven weeks of new songs dropping, and this was inspired by Kanye West’s ‘Good Fridays,’” said Jarbo. “Kanye put out a new song every Friday to lead up to his album, and a good friend of my friend, Richie Branson, who I just got off tour with, did ‘Otaku Tuesdays,’ where he dropped a new song on Tuesdays. He is also close friends with Xavier Woods, who introduced Jarbo to many of the wrestlers, allowing him to see the sacrifice that is put into this business. ​“When Xavier started off in FCW, he was looking for music to come out to, and he wanted something video-gamey, chip-tuney,” said Jarbo. “He sent me an email three or four years ago asking if he could come out to a song called ‘Looking Up,’ which has some chip-tune elements as well as a lot of hip-hop stuff to it. It was a dream of mine to have someone use my music as entrance music, so I said of course. The first track on the album is “Here Comes The Pain,” which focuses on Brock Lesnar. 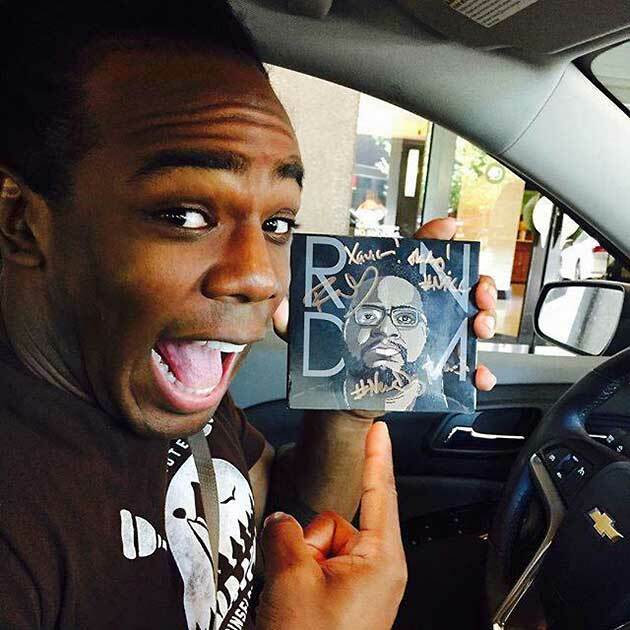 There will be a song about Xavier Woods and the New Day. The album allows for an organic connection between Mega Ran’s love for wrestling and hip-hop. ​Vampiro appears every week on Lucha Underground, and while the 48-year-old Canadian is a Mexican wrestling legend, he is still amazed at how the industry continues to change. “The business has evolved daily over the past eight or nine years, mainly due to social media and the videos on Youtube,” said Vampiro. “The wrestling community worldwide is pretty connected. The young generation of guys who grew up as kids in the late 90’s—who took it to another level then—have influenced an entire generation of guys who were video games addicts and added a lot of gymnastic, aerial aspect to it. As soon as lucha libre got more air play from Mexico via the internet, and the lucha libre hybrid style in Japan, that’s made the business change on a daily basis. It’s great, it’s amazing, and I wish I could do a tenth of it, but I do think the storytelling aspect of matches is a dying art. 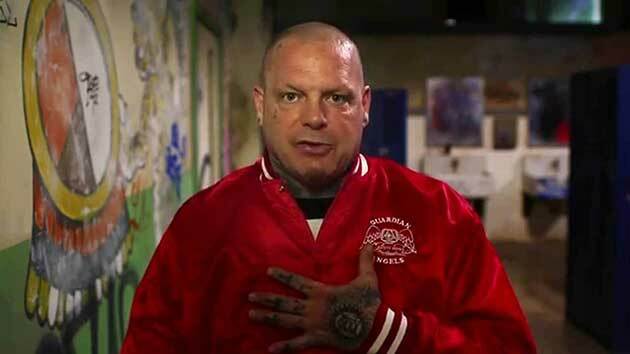 Compelling storylines, Vampiro explained, are a necessity to succeed as a wrestler. “You need to get a lot of scar tissue on you as a wrestler before you can really learn the craft,” said Vampiro. “If you want to know how to tell a story, you need to know what you like to do. I was a musician before I was a wrestler. I’m a huge fan of alternative music, so I based a lot of what I did in the wrestling ring around that. I remember reading an interview with Jimi Hendrix in Rolling Stone magazine, and I’m talking years ago, and somebody said, ‘Jimi, stop f------ around and play the guitar.’ So, one night, Jimi sat still on a stool, played the guitar, and blew everybody away. Then he turned to the promoter and said, ‘Now can I play the guitar?’ And that’s when he started playing behind his head and between his legs and lit the guitar on fire. Vampiro had success wrestling in Canada and Japan, but his star was always brightest in Latin America. The Great Muta—who played two characters, like Vampiro does on Lucha Underground—remains a major influence in his work. Despite his stardom elsewhere in the world, working in WCW served as a reminder that not everyone—namely Sting and Lex Luger—were grateful for his contributions to the business. “I worked with Sting, but I was really disappointed by the whole thing,” said Vampiro. “It was a real letdown for me to see guys, and it wasn’t only Sting, believe their own hype. The Vampiro character was pretty successful in Latin America—more than any of those guys put together—and I was selling out 50,000 seat stadiums every night. Vampiro credits Ric Flair for giving him an even greater understanding of the business during his time in WCW. Bret Hart was another legend that Vampiro met in WCW, and he was amazed by the kindness of his fellow Canadian. Vampiro is a cancer survivor, but explained that Hart’s diagnosis is much different than his own. One of the highlights of the first season of Lucha Underground occurred when Vampiro put over Pentagon Jr. Alberto Del Rio was supposed to be the original opponent for Pentagon, but he balked at the idea. “Alberto was with us for a little while and now he’s back in WWE,” said Vampiro. “It’s funny, I remember wrestling his father, and seeing Alberto when he was a fan as a kid. Then I remember wrestling Alberto in Guadalajara, and I did the job for him. I had so much respect for his father that I had no problem with it. As soon as Del Rio declined to put Pentagon over, visions of Jeff Jarrett and the WCW title immediately entered Vampiro’s mind. Jim Cornette recently made news by trashing the Lucha Underground product, and Vampiro took exception to the comments. Vampiro never had the opportunity to work for WWE. Vampiro is beyond content with Lucha Underground. More than anything, he is grateful to still be involved in wrestling. Big E is extremely talented in the ring, engaging on the microphone, and will hopefully enter the world title picture after WrestleMania.